While the Galaxy Note 9 is still a couple of months away, there has been a lot of speculation surrounding Samsung’s next smartwatch. While not much had been known about the wearable from a hardware point of view, it seems Samsung just can’t wait to talk about it. own portal. Earlier, we had reported that Samsung’s upcoming watch will be called the Galaxy Watch, and would come in 2 size variants – 42mm and 48mm. 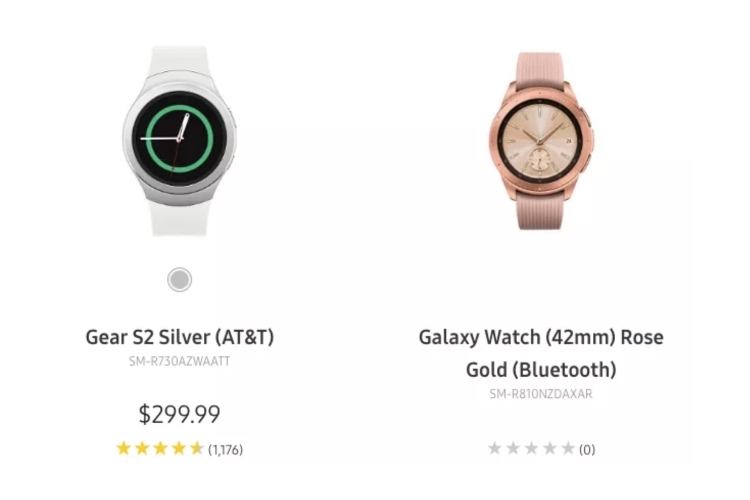 Now, as reported by CNET, Samsung has leaked the Galaxy Watch on its US retail website. It’s gone now. Was up a few minutes ago. Screenshot in my story. Well, that was fast. 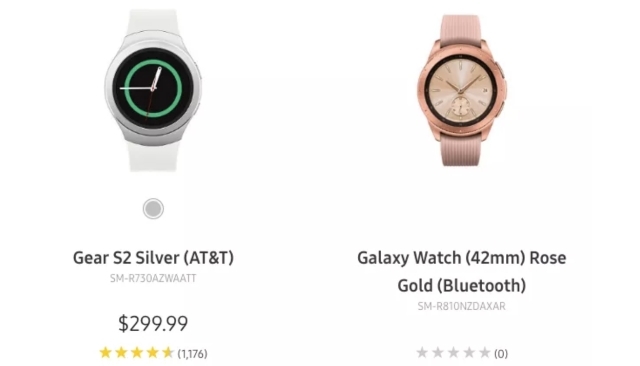 The model which was shown early was 42mm rose gold version, which looks quite a lot like a Gear S3 Classic. The model number, SM-R810NZDAXAR, didn’t quite match up with recently reported filings to the FCC, but the ‘R800’ part matches earlier reports. As such, it is highly possible that this could be a color variant. As of now, there is not much known about the watch itself, apart from the fact that it comes in a rose gold color, which, in itself, could be a special edition of the actual product. However, the rumor mill suggests that the new Galaxy Watch line will run the latest version of Samsung’s Tizen software and come with a Bixby integration of some sort. There’s also some speculation about a Wear OS smartwatch, which will be clearer after August 9. Samsung has taken down the listing for now but we can take it as near-confirmation about the product without any more details.